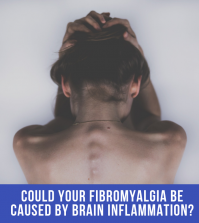 Q: What is Fibromyalgia (FM or FMS) and/or Chronic Pain? A: Fibromyalgia (FM or FMS) is an autoimmune syndrome characterized by sleeplessness and pain in the muscles, tendons and ligaments. It is thought of as a rheumatic disease, meaning inflammatory proteins called cytokines may be initiating and/or perpetuating inflammation. 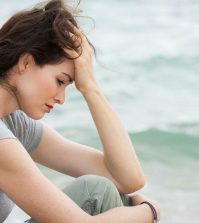 Chronic fatigue has many of the symptoms of fibromyalgia and responds to the same recovery plan. Q: My daughter suffers from ME/Chronic Fatigue. Would serrapeptase help and which product would be best? I also suffer from Peripheral Neuropathy which makes my feet very hot, jumpy, restless and very painful. A: Follow the Fibromyalgia and Chronic Pain Health Plan as described and this will give great results. Q: I have been in upwards of 15 car accidents, mostly rear end collisions and I have also been diagnosed with Fibromyalgia. I have daily issues with pain, spasms and movement. I have been unemployed for over 2 years with no health insurance to seek help. Would the serrapeptase help me and is there any other advice you could recommend that might help me? A: There are tons of supplements I can recommend but try this: Serranol 2 x 3 times per day until relief and drop to 1 x 3. Follow the Fibromyalgia Health Plan. Q: I have a patient with fibromyalgia and was thinking of trying the Serrapeptase with MSM and trace minerals. However, she cannot swallow capsules! Can you tell me if these can be emptied into a drink and taken that way or will the therapeutic action be diminished? A: The better formulation is Serranol which is perfect for this and has studies to support its benefits. It can be mixed into a little water and drunk if necessary. Take 2 x 3 times of the SerraEnzyme, 30mins before eating a meal. If you get my plan drop to 1 x 3 with the Serranol. Detox can occur in rare cases. Q: I have fibromyalgia and am interested in Serrapeptase. I also have something called Sheehan’s syndrome and no longer have a pituitary gland. I take Prednisone, Thyroid meds (Eltroxin) and HRT. I also have acid reflux which I take meds for. I want to make sure that the serrapeptase will not interfere with any of these meds or conditions. Also, is it available in Israel? Thanking you in advance for your reply. A: It will not be a problem with any drugs. You can get it at www.GoodHealthNaturally.com. It will be available in Israel eventually. 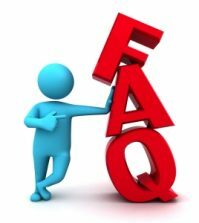 I have just come across information about Serraptase and have ordered your book but in the meantime would like to ask you a couple of questions, if I may. My daughter suffers from Me/Chronic Fatigue. Would Serraptase help and which product would be best? I suffer from Peripheral Neuropathy which makes my feet very hot, jumpy and restless and very painful. It is becoming a problem to either do sedentary things like going to the theatre or travel when I have to sit still but it is also painful to walk sometimes. I also have suffered for years from Spontaneous Peripheral Hoemorrhages in my hands and they too are getting rather painful. Along with some Fibromyalgia I am a bit of a mess! I would very much value your advice. A: I suggest you both follow the plan in the link below. Following in great detail will give great results. Q: Hi! I’ve just discovered your site. I have acute FIBROMYALGIA and RSI and have tried everything for the painful rock hard lumps that I am so sick of! I am on a new protocol from the USA using a drug called GUAIFENESIN (in pure form) . It is meant to attack the build-up of excess phosphates which the doctor thinks causes the ‘Lumps’. It can take many years to clear , but I tried ‘VITALZYM’ a few years ago with good results, but there is NO way I can afford it! I also cannot have any Riboflavin, or plant based ingredients as they block the ‘GUAI’ from working. I know your top product has a lot in, but do you have one which is just SERRAPTEPTASE in it? I am desperate for something to actually work!! A: The most potent one with just serrapeptase in it is SerraEnzyme 80,000iu. See it at www.GoodHealthNaturally.com. My new formula SERRANOL is the alternative. Q: My name is Marilyn and I am 63 years young. I have fibromyalgia, arthritis, panic and anxiety disorder and bruising issues. My question is since I bruise all the time and tend to bleed more then normal when injured, is this alright for me to take? Seeing that it dissolves blood clots wouldn’t this mean it thins out the blood? I take Purity vitamins which is a very good vitamin, probiotics, apple cider vinegar, magnesium, Klonopin, Tenormin and I think that’s about it. Can I use this enzyme? Please can you tell me what I would need to take to help me improve my Chronic Fatigue Sydrome (M.E)? I have had this for 6 years and have never had any relief so would like to try this product. You can clear this problem but it is a full recovery plan. Q: I have a 15 year old daughter who suffers terribly from Fibromyalgia and Gastroparesis and very painful periods. Is it safe for her to take given the fact she suffers from Gastroparesis? Thanks for your time. A: Serrapeptase is a small part of the recovery plan for your daughter. The Gastroparesis is caused by eating starchy carbs and other high sugar foods. I am sending the full plan in the link below and if the detail is adhered to then 30-60 should see it cleared. The food plan is for life for anyone wanting to prevent and other diseases. I am looking for a CES (cranial electrotherapy stimulation) device. I read an article in Townsend Newsletter that it is good for fibromyalgia. Do you have access to anything like that? Also, do you have any suggestions for fibromyalgia? A: Yes, HealthPoint has the ear clips for that. I disagree though as it is an autoimmune condition and this is making out it is a psychological condition. Q: I have fibromyalgia, due for arthroscopy soon. I want to take serrapeptase. I also have a typical facial neuralgia which bothers me more than anything. Could serrapeptase possibly help this in any way? I take Tamoxifen 20mg once daily…would serrapeptase be ok to take with this breast cancer anti-hormone drug? Are there any specific medications that should not be taken with serrapeptase? Could serrapeptase kill a cancer growth, just wondering? Could it help anxiety and panic? Please don’t tell me to take other stuff as well as I am on the breadline and in debt and I just can’t pay out for anything else. I can’t do Paypal, it just won’t work for me. Would you have a phone number for the brands you recommend on your website? I always order by phone. A: See my plan below. Q: I would like to take more than a pinch of bicarb of soda in each glass of water. Is that ok? Re Allevian, I didn’t tell you that much about my medical history and people always zoom in on the fact I had cancer, it’s fibromyalgia that’s my worst problem, I have a lot of inflammation all over my body plus facial pain, osteopenia, back ache, torn cartilage and wear and tear on the knees (awaiting arthroscopy). I cant find any decent testimonials for Allevian, just two that said it didn’t work for those people and there are a lot of alternative natural ingredients in it. I’ve had a lot of bad experiences with quite a few of these types of ingredients. A: I take 1/2 teaspoon in each glass. 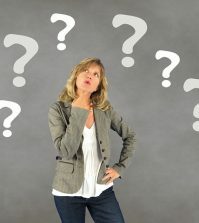 Q: I have a patient with fibromyalgia and was thinking of trying the Serrapeptase with MSM and trace minerals…However, she cannot swallow capsules! Can you tell me if these can be emptied into a drink and taken that way or will the therapeutic action be diminished? A: The better formulation is my new SERRANOL which is perfect for this and has studies to support its benefits. I click on the links for your Fibromyalgia program and it isn’t there any more. I was wondering if you could email it to me. P: ¿Qué es la Fibromialgia (FM o FMS) y/o el Dolor Crónico? R: La Fibromialgia (FM o FMS) es un síndrome autoinmune caracterizado por insomnio y dolor en los músculos, tendones y ligamentos. Se piensa que es una enfermedad reumática, lo que significa que las proteínas inflamatorias llamadas citoquinas pueden estar iniciando y/o perpetuando la inflamación. La Fatiga Crónica tiene muchos de los síntomas de la fibromialgia y responde al mismo plan de recuperación.